Arrive early and the crowds are thin, arrive late and the swarms arrive. When I think it can't get any better - than "supreme" - I see this shot. 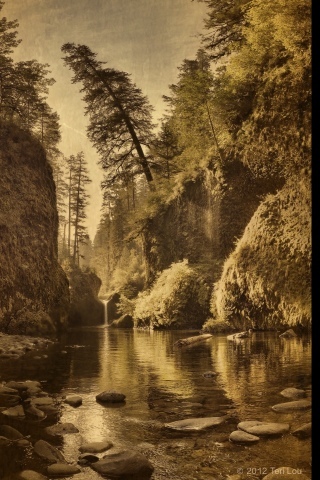 The vintage look, composition, and lighting beautifully enhance what looks like a magical spot.